Longbow Golf Club, The Essence of Arizona Golf, is now professionally managed by Troon Golf, the Scottsdale-based company with more than 360 locations in 35 states and 30 countries around the globe, including 15-daily-fee courses in Arizona. Longbow Golf Club originally opened in November 1997. Named after the Apache Longbow Helicopter, which McDonnell Douglas Aircraft Company and its successor The Boeing Company named after the weapon used by the iconic medieval archer. The Longbow was known to achieve greater distance and accuracy in battle. The name today invokes that image and is the perfect metaphor for golf. The Boeing manufacturing facility still builds the helicopters right across the street from Longbow Golf Club, adding to the variety of interesting aircraft seen in the skies above the field of golf on a daily basis. McNichols purchased the club in 2001 and commissioned a total course renovation completed in 2003, led by original course architect Ken Kavanaugh. Kavanaugh’s second edition of Longbow exceeded the length, design and playability of “The Old Course.” Golfers who had played the course in the early years, loved the course changes and club enhancements. Few clubs have done more for the Arizona golf community than Longbow Golf Club, as the club hosts literally hundreds of junior, collegiate, amateur and pro level events, as well as charity and community outings each year. “What it’s all about is supporting the community of golf in the Valley, supporting loyal customers and Cardmembers, and being heavily involved in the local, state and national golf community. Hosting events like the AJGA Ping Heather Farr Classic, the LPGA Symetra Tour Gateway Classic, The Arizona Silver Belle Championship as well as tournaments for the PGA, AGA, USGA, NCAA, NJCAA, JGAA, high school and The First Tee evidence our commitment to the game of golf and the future of the game,” said McNichols, who also serves on the board of The First Tee of Phoenix and on the Executive Committee of the Arizona Golf Association as a statewide officer. 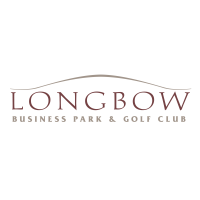 In addition to being a hub for numerous golf events, Longbow Golf Club continues to be on the cutting edge of growing the game and making golf more fun to play. Nine-hole rounds are encouraged. The Fisher Bryan Golf Academy has been at home with Longbow Golf Club for ten years, teaching and coaching beginners and advanced, juniors and adults, assisting juniors and their families with opportunities for scholarship advancement to colleges and universities around the globe. An early supporter of adaptive golf to provide golf to the disabled, bringing the largest fleet in Arizona of Longbow “Surf the Turf” GolfBoards adding the excitement of a single rider option in both cases to the normal walk and riding options. The First Tee of Phoenix at Longbow Golf Club welcomes hundreds of youth and uses golf as a platform to build core values as life-skills. On the course, the kid and adult-friendly Youth on Course pricing for under 18 year old juniors and is popular with families playing together and those who are new to the game. The Longbow Golf Club contemporary clubhouse features a spacious outdoor event patio with fans, heaters, misters, outdoor kitchen and bar, enormous patio fireplace, The Grille at Longbow Golf Club and a well-appointed golf shop. The Grille boasts mountain and golf course views and has been honored as one of the "Best 19th Holes in The East Valley" by the East Valley Tribune, and the “Best Burger in Mesa” by the Mesa Chamber of Commerce. Throughout its 28-year history, Troon has earned a reputation for delivering pristine golf course conditions, personalized service, outstanding food & beverage experiences and world-class retail offerings at its managed facilities, which includes private clubs, daily-fee courses and golf resort properties. As a Troon-managed club, Longbow Golf club is now part of the popular Troon Card frequent player program, which means current Troon Cardholders can now enjoy this award-winning East Valley golf course. The industry-leading program offers preferred Troon Card golf fees of up to 50 percent at participating Troon facilities around the world. The benefits of the Troon Card go beyond savings on golf. Troon Cardholders can also improve their golf game through complimentary clinics, play more golf with exclusive replay rates and explore the world of Troon with customized experience packages. Plus, cardholders can treat their friends, and themselves to“2 for 1” golf offers. In addition, members of Troon Privé managed-clubs, the private club operating division of Troon, will now enjoy preferred rates at Longbow for themselves and their guests through the Troon Advantage program. For more information on Longbow Golf Club Tee Times and Cardmembership visit www.longbowgolf.com or call 480-807-5400. For more information on the Troon Card program, visit www.trooncard.com.